Womb Wisdom Embodied 2 Day Workshop, Chiang Mai Thailand. « 11 Day Sadhana: Creativity In Tune With The Menstrual Cycle, Online. This 2 day Workshop & Ceremony will give you the understanding, inspiration and practical tools you need to genuinely utilise your menstrual cycle as a natural spiritual pathway encoded within your body. √ Use your cycle as a compass for creativity, self-care, productivity, life purpose, authenticity & personal growth. √ Work with, de-code and dissolve uncomfortable symptoms in your cycle. √ Develop an intimate relationship with yourself by connecting with your Womb and The Collective Womb. √ Reclaim your maiden-self and recalibrate your connection with your cycle. Plus you’ll be openly and joyfully talking about your period with other awesome women AND you’ll leave feeling welcomed as a woman in the world! The focus of today is to reconnect you to your own Womb and the innate power of your Menstrual Cycle. We’ll be using Shamanic and creative exercises, so that you leave with a felt experience of your cycle, your womb, it’s potential and how to work with that for your Sovereignty. Utilising your cycle and Womb Consciousness for self-care, productivity, creativity, purpose, authenticity and personal growth. The Sacred Womb – The Collective Womb – The Great Mother & birthing new consciousness in this reality. You’ll be working with the experience of your first period; to remember, to heal, to experience what was missed, all of which will recalibrate your whole cycle and have you feeling welcome as a woman. Reduced pre-menstrual symptoms, anger and rage. Remembering natural gifts that help form a foundation of our purpose. A loving relationship with your feminine wisdom and all it brings! At the end of day 2 we’ll be doing a group Ceremony together to welcome your First Blood. You’ll need to bring a few small items with you to day 2; instructions will be send nearer the time. About Your Facilitator, Melanie Swan. 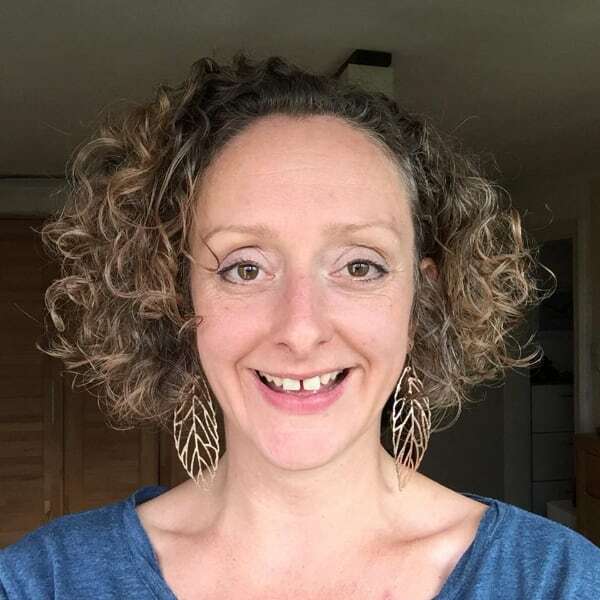 Melanie is an experienced leader in utilising the menstrual cycle as a woman’s natural compass to heal, awaken and genuinely come home to our seat of independant personal power, The Sacred Womb. Her ability to bridge and birth new consciousness into practical, grounded, embodied, every-day wisdom is the reason many women come to her to restore their Sovereignty and blossom into The Medicine Woman they truly are. She hosts The Sacred Womb Podcast which is listened to in over 95 countries and delivers dynamic workshops online, in Europe and in Asia. A gorgeous, healthy vegan lunch on both days by Free Bird Cafe. Downloadable Cycle Tracker with guidelines on booking. Preparation instructions for The First Blood Ceremony. It’s possible to pay a 50% deposit online to secure your place and 50% in person in Thai baht on Saturday 19th January. This option is listed in the tickets below. I'm new to this, can I attend? Yes, please come and join us, you’re very welcome. I recommend you start tracking your cycle straight away. Here’s a menstrual cycle chart along with instructions on how to fill it in. If you have any questions, feel free to contact me directly or in The Sacred Womb private Facebook group. Will this help with PMS, period pain, PCOS, etc? Yes. Listening to our womb and cycle naturally gives energy to our Womb Centre, which in turn increases circulation. Not just physically, but also emotionally. To heal physical symptoms, we also need to address the emotional and spiritual root cause. This workshop will help to do that. For a reliable, up to date source on healing physically, I can highly recommend the work of Anthony William, The Medical Medium. I'm trying to get pregnant, will this help? Yes. Listening to our womb and cycle naturally gives energy to our Womb Centre, which in turn increases circulation. Our Womb needs enough energy for conception and to hold a baby to term. What if I have a specific dietary request? Meals on both days are provided by Free Bird Cafe. They are all vegan gluten, soy and lactose free. If you have any further requests, please let us know at the time of booking. Drinking water will be provided throughout the day. It is requested that you bring your own bottle to refil, plus a small snack for the afternoon. How do I get to Chiang Mai, Thailand? Chiang Mai is accessible by the CNX – Chiang Mai’s international airport. You can also easily get to Chiang Mai from Bangkok via the train from Hua Lamphong Station (night sleeper train recommended) or from Bangkoks 2 airports. Air Asia operate regular flights from Bangkok to Chiang Mai. How do I get to Free Bird Cafe? Free Bird Cafe is in the heart of the Nimman area in Chiang Mai, Thailand. The full address is 14 Sirimankalajarn Soi 9, 50200 Chiang Mai, Thailand. A tuk tuk or taxi driver will be able to easily find this. You can cancel your booking up to 30 days before the workshops starts for a full refund minus a 50% cancellation fee. Refunds will be paid as soon as possible, up to a maximum of 30 days after the cancellation date. If the cancellation is made within 30 days before the start of the workshop, no refunds will be available.